Our specialist team have a lot of experience and can support you with any concerns or problems relating to your anxiety, depression or drink or drug use. The team includes specialist addiction doctors, psychologists, nurses, wellbeing practitioners, recovery workers, service user lead and volunteers. We are proud to work with people from all backgrounds and sexualities. We can help with the range of problems that can be related to anxiety or depression or drug and/or alcohol use such as relationships, housing, work, general health and wellbeing. Psychiatrists: Are medical doctors who specialise in helping people with substance use and other psychological problems. Nurses: Are trained mental health nurses who specialise in working with people with addictions. The nurses will see you for key working sessions, provide health advice and screening, develop your recovery care plan with you. and supervise your progress through recovery. Recovery workers: Are experienced at working with people with addictions. Recovery workers run group sessions and provide one-to–one support. They help people think about why they use drugs and/or alcohol, using motivational and relapse prevention techniques to encourage you to reduce or stop drug and/or alcohol use. Psychologists and wellbeing practitioners: Offer “talking therapy” groups and one-to-one support using cognitive behavioural therapy (CBT) techniques, or counselling. They help people think about the triggers for their anxiety and depression, and ways to experiment with changing their thoughts and behaviours. All of these can help control anxiety and overcome depression. Reception staff: Are the first people you will speak to or will see when you come to the service. They help to ensure that your visit to the service is as good as possible. 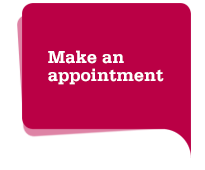 Service user representative and volunteers: Are here to support you throughout your time with us. They all have “lived experience” of addiction or mental health issues, and are on hand to provide you with advice and information about the service, guide you through treatment, and provide activities and a social network to support you in your recovery.